Thank you for choosing Collar Me Charming! 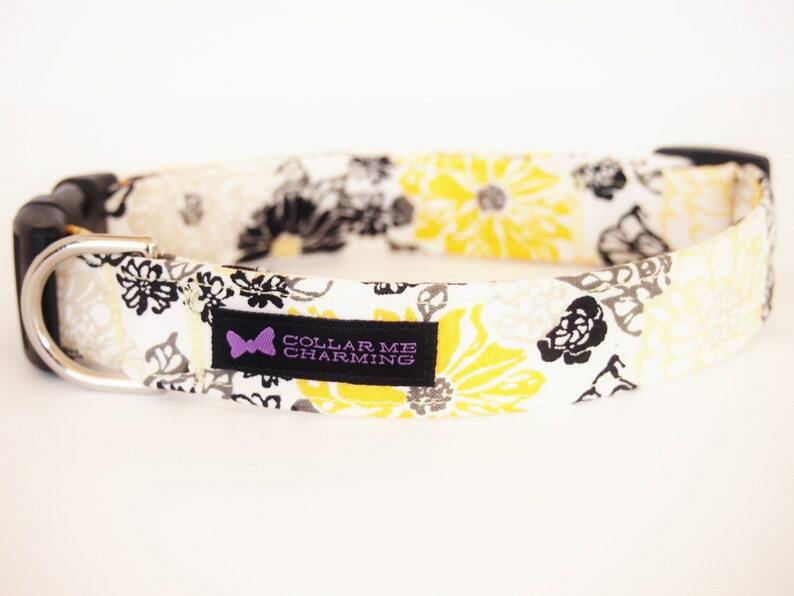 All of our collars and accessories are made with love for you and your dog to enjoy. Due to the handmade nature of our products, no two Collar Me Charming collars are alike and patterns shown above may appear different on your collar. As with the seasons, we are changing our fabrics constantly, so make sure to buy up on your favorite products now! And as always…FREE SHIPPING in the US! This listing is for the dog collar only. This collar has a matching leash option! We only use curved side release buckles, designed to hug your dog's neck, so they can be comfortable and stylish too!